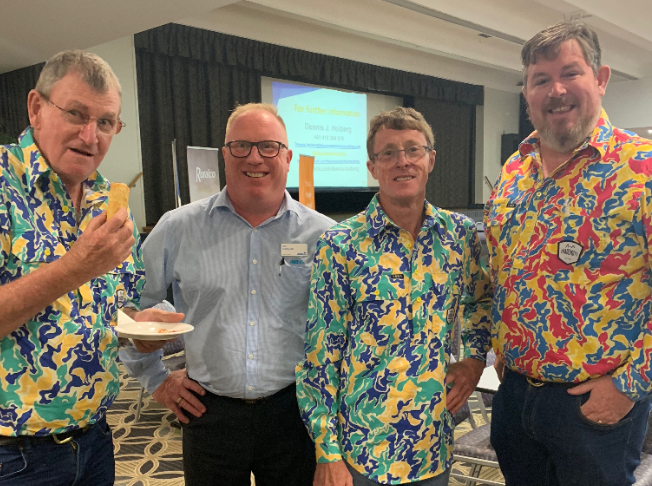 Last week a merry band of brightly-coloured-shirt-wearing professionals traversed across NSW to deliver the Big Community Muster in 11 locations over 6 days. The Big Community Muster team donned Trademutt shirts (as seen in image below). Trademutt shirts wear the logo ‘This is a conversation starter’ across the back in an effort to effect change and lower the rate of male suicide in Australia. 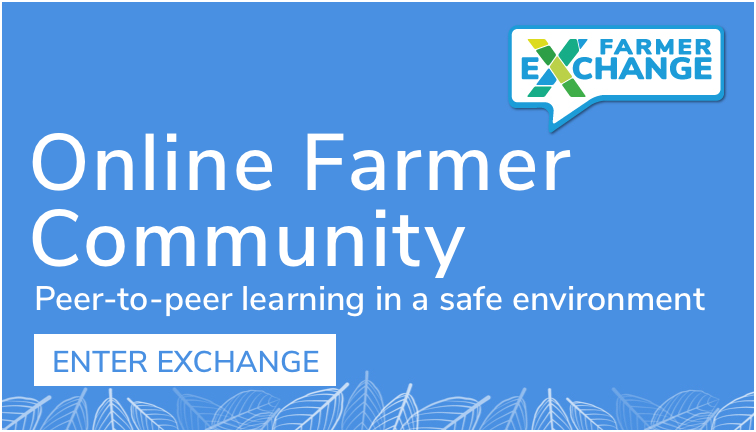 Provide an opportunity for our farming community to share experiences and discuss ways to build on our inherent resilience and provide practical insights to support you in preparing for the future. My husband and I attended the Muster in Deniliquin last Monday. Other locations included Oaklands, Hay, Condobolin, Nyngan, Baradine, Rowena, Moree, Narrabri. Gunnadah, Tamworth and Scone. 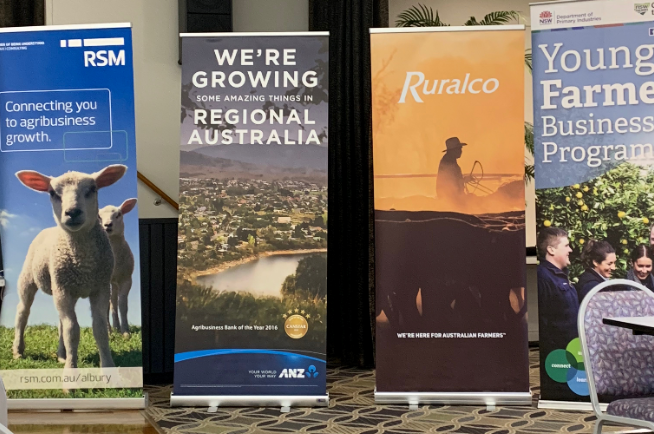 Supported by ANZ, RSM, Ruralco, NSW Farmers, Riverine Plains, Rotary, NSW Department of Primary Industries and Graincorp, the Muster presented three sessions to attendees and I wanted to share my main takeaways from the first two sessions in the post today. I believe they will be of use to those that were not able to attend the sessions in person. The first two presentations by RSM Director, Gerard O’Brien, and Ben Percy from ANZ, focused on discussing assistance measures and being bank ready. Remember the one-off interest free $50,000 loan available has a 7 year period, of which the first two years requires no repayment. This essentially means the payback period is 5 years, or $10,000 per year. There is often quicker turnaround on the application if you apply electronically. Advice was to get your accountant to zip all relevant files together and apply internally. There is still scope to take advantage of RAA’s Farm Innovation Funding, where you can “take two bites of the cherry” for capital works up to $250,000. This program is “one of the best schemes in the market and I’ve been in the game a while – it is half the rate of anything nearly as attractive as anything else on the market”, said Gerard O’Brien. To apply for this RAA funding, consent from your banker is required. The advice was to avoid the ‘cart before the horse’ mentality – i.e. don’t go and complete the works, then apply for the funding. “Get a quote, submit the application and then complete the works – don’t fall at the last hurdle by going about things the wrong way”. Farm Business Skills Program reimburses 50% for eligible courses up to $5,000/farmer and $9,000/farmer. However, it does not have to be used to attend the pre-approved courses. In fact, the ‘training’ may take the form of one-on-one sessions with your financial advisor, accountant or lawyer. The training can cover; succession planning, financial and business management, farm business planning, risk management, drought preparedness planning or other topics that suit your particular requirements. The two loans available through the National Regional Investment Corporation are for Drought and Investment. You can fund up to 50% of the debt you current have with the bank. The term is 10 years with a 3.58% variable interest. At the end of the term of the loan, you do not have the option to roll over, so you will have to go back to the commercial lender to take up the remaining debt. The application for the Farm Household Allowance through the Department of Human Services “isn’t going to be easy – but, if you think you are eligible, apply and don’t give up”. It is a fortnightly payment and can be applied to a farmer, farmer’s partner, or a child over 16 working in the business. There is also a $1,500 payment available to cover the costs of professional assistance to help get the application done. “There is a lot of noise around how difficult it is to apply, but there are Centrelink specialists and this assistance payment to help”. The application required you to set up a MyGov account, register a CRN and complete the process online. ANZ Agribusiness’s, Ben Percy, walked through a number of ratio’s/KPIs that the bank considers in the range of quantitative and qualitative factors when assessing how “bank ready” you are. The one that stood out for us was the Debt to Gross Farm Income ratio (as opposed to debt:equity ratio) of 2.5xgrain/mixed farming and 3x for livestock enterprise. Although revenue will be variable year on year, this is something we need to consider when applying for debt. Therefore is your average farm income is $1m, the bank would be comfortable with and debt level of $2.5m for grain/mixed enterprises and $3m for livestock enterprises. Assistance measures relevant for NSW farmers can be found in our AgFunding database here. There is also an additional low interest loan available for up to $130,000 at a fixed rate of 1.37% for the term of the loan. 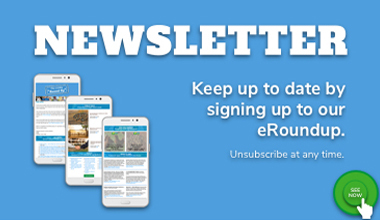 The first two years are interest and repayment free, however it appears this is for those in declared natural disaster zones, of which drought is not one. Declared natural disasters can be found here. Emergency Drought Transport Subsidy: The subsidy can be applied for the cost of transporting fodder, water to a property for stock or domestic use, stock to and from agistment, and stock to sale or slaughter. 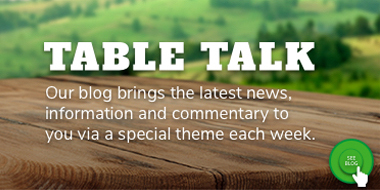 Up to $40,000 per eligible farm business over 18 months from 1 January 2018 to 30 June 2019. Natural Disaster Transport Subsidy: Subsidies of up to 50% of the total freight costs to a maximum of $15,000 per farm enterprise per financial year. The $15,000 is counted within a financial year from the date when the payment is made to the applicant. Animal Welfare Transport Subsidy: A subsidy on the transport of stock at risk is permanently available to primary producers. Subsidy covers up to 50% of the total freight cost to a maximum of $20,000 per farm business. Emergency Water Infrastructure Rebate Scheme: rebate of 25% of the cost for; new purchases, and installation of pipes, water storages and water pumps, de-silting dams, and associated power supplies such as generators. Maximum that can be claimed is $25,000 per farm enterprise. Donated Fodder Transport Subsidy: 100% of the costs of transporting donated fodder from within NSW up to a maximum of $5 per kilometre (plus GST) to a maximum eligible distance of 1,500 kilometres. There seems to be overlap across these subsidies on the RAA site, particularly the Emergency Drought Transport Subsidy and the Natural Disaster Transport Subsidy. Stay tuned for our next post, which will concentrate on resilience and the importance of sleep with Dennis Hoiberg.